"Your one stop shop for everything Edinboro." 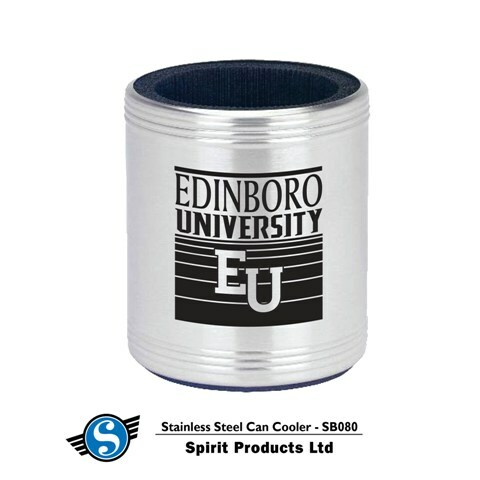 Stainless steel insulated can cooler. Insulating foam rubber keeps beverage cold and prevents condensation. Features a foam base to prevent scratching and sliding.